These gems are cut from the rough material that has been chosen because it looks warmer than . There is a very very slight tint of yellow that is mostly unnoticeable. When compared to a white stone the slight yellow tint is hard to see in most lighting. 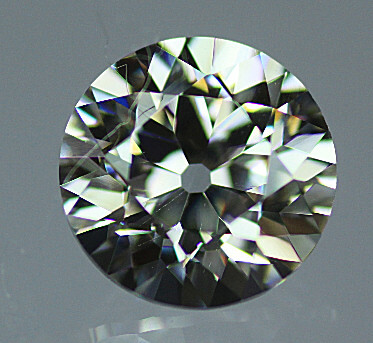 Because the colour varies within the material the cut stone will not always be warm.